Image by Storytellers attendee, Nikki Gould. Kirsten Lewis Bethmann - Keynote Address - Kirsten will explore the role documentary photography plays psychologically, emotionally and historically in society. She will examine the implications of the digital world in our lives and photography and the importance of honesty, transparency and integrity. Additionally, and possibly most importantly, she will share the unequivocal correlation between life and art and how to take responsibility for each and every step towards success. 6:30 Welcome drinks on the terrace! 8:00 Optional dine around. Basically, you sign up for whichever food you’d like to eat and we will randomly assign you to a group of 10 attendees to get together at a local restaurant. This may sound terrifying to our introverted friends but it’s a nice, safe way to meet new people in a smaller group setting. Image by the first person to ever hold a Storytellers ticket, Linsey Davis. 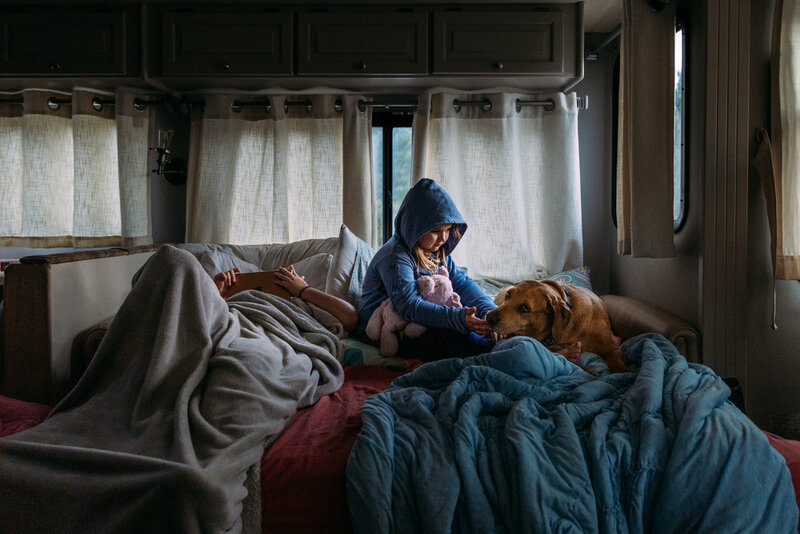 8:30 Ryan Christopher Jones takes us through his recent work and will share his knowledge and real world photojournalistic experience in order to help us craft strong visual narratives from our family work. He will also tell us the winner of our environmental portrait challenge (stay tuned for how to enter). 10:30 Zalmy Berkowitz will teach an epic class on everything he knows about composition and composition alone. 1:00 Ryan is back to take us through one lucky attendee’s raw ‘day in the life’ shoot. They will collaborate as Ryan shows us how to cull and sequence the work in order to tell the most compelling story. 3:30 Ash Raddatz talks pricing, marketing, business structure and how to make some damn money. 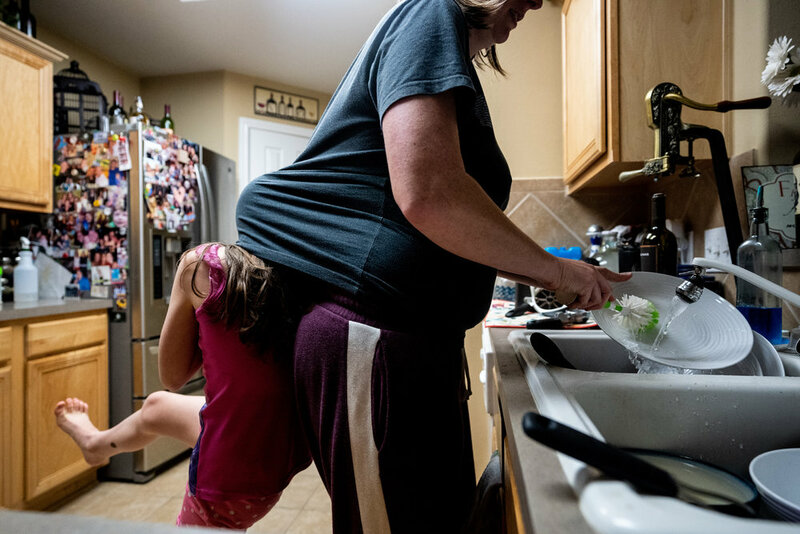 5:00 Maggie Steber is with us to reflect on her experience capturing the story of Katie Stubblefield, the youngest face transplant patient in the U.S.
7:30 Poolside reception Taco party. Yes. Image by Storytellers attendee, Chelsea Silbereis. 10:00 Niki Boon will give a highly personal talk, sharing her journey and thoughts about her work, and how it has been her four wild, free range children who have taught her more about photography than any formal education could. 11:30 Ryan and Kirsten will critique a selection of attendee ‘day in the life’ sessions. We will soon ask for volunteers to submit a 15 image edit of a session. The goal of this critique is to help us improve the storytelling element of our documentary family work. This is a three hour session and will include a short break for lunch (provided). Official classes will end on Tuesday, May 7 at approximately 2:30. If you are staying on, let’s hang by the pool, consume drinks with umbrellas in them, and convince ourselves we can make artful selfies together. storytellers 2019 is officially sold out. we’d love you to join our waitlist. You might get lucky.